Many of New Zealand’s literary heavyweights feature in the 40-strong Ockham New Zealand Book Awards longlist announced this morning. New Zealand Book Awards Trust chair Nicola Legat says the Awards received a large number of entries again this year and the standard was extremely high across all categories. You can find the full list of Ockham New Zealand Book Awards longlisted titles here and you can download social media visuals to promote the books from the resources page of our website later this morning. Publishers are reminded that entries are still open for the 2019 New Zealand Book Awards for Children and Young Adults, and submissions are currently being accepted for books published between 1 December 2018 and 31 March 2019. Details on how to enter can be found here. 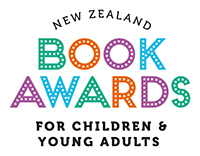 The 2019 NZCYA shortlist will be announced on 6 June. We have a date for NPD 2019! 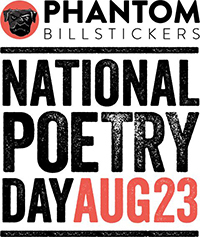 The 22nd Phantom Billstickers National Poetry Day will be held on 23 August this year. NPD 2018 blew previous records off the charts with our largest national tally of events ever, at 150. Registrations for 2019 events will open in early March, so poets, publishers, booksellers and poetry-loving organisers, put your creative caps on and let’s make 2019 even bigger. Keep an eye on our Facebook page for further updates, or our National Poetry Day webpage. As we start the new year, the New Zealand Book Awards Trust welcomes a new trustee and congratulates another. 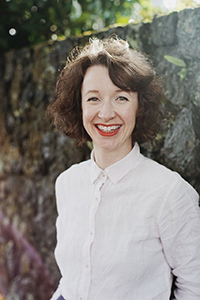 Jenna Todd, the manager of the award-winning Auckland bookstore Time Out, joins the Trust as the Booksellers NZ representative, succeeding Rachel Eadie. Jenna was the first recipient of the Kobo Booksellers NZ Scholarship in 2014 and was named Young Bookseller of the Year in 2015. She was a fiction judge for the 2018 Ockham New Zealand Book Awards. And it’s a double round of champagne for independent trustee Paula Morris. The award-winning novelist, short story writer, essayist and academic has been busy since her return to New Zealand in 2015, and she was delighted to not only receive the Katherine Mansfield Menton fellowship late in 2018 but also to be recognised with an MNZM in the 2019 New Year Honours List for services to literature. The Ockham New Zealand Book Awards, The New Zealand Book Awards for Children & Young Adults, and Phantom Billstickers National Poetry Day could not exist without the generosity, commitment and vision of our sponsors and staging partners. The New Zealand Book Awards Trust is hugely grateful to Creative New Zealand, Ockham Residential, Acorn Foundation, Royal Society Te Apārangi, Auckland Writers Festival, HELL Pizza, Wright Family Foundation, LIANZA, Wellington City Council, Te Papa, Nielsen Book, Phantom Billstickers, and our other wonderful supporters. You can find out more about them here, here and here.